Walking Dead Day on Saturday, October 13th! 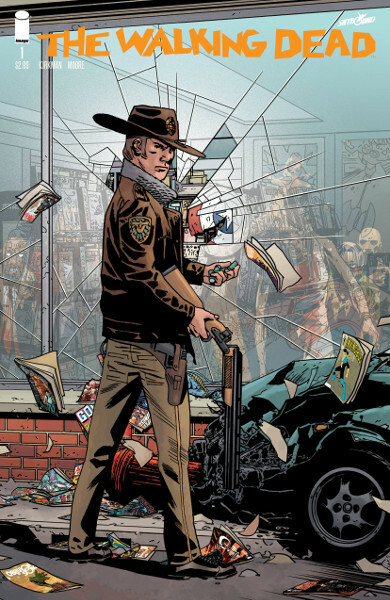 Celebrate the 15th anniversary of The Walking Dead in comics, and the opening of the 9th season of the TV show, by dropping by Sterling Silver Comics this Saturday and picking up this new edition of The Walking Dead #1, made especially for the occasion! Also available are “blind bag” variants of several other issues from the run of the series, wrapped in black covers disguising which version of the cover you’re getting! Every issue a surprise! So shamble on in and devour all these great Walking Dead goodies! See you then! This entry was posted in Store News on October 8, 2018 by Mike.